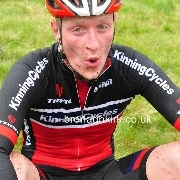 North Down CC staged Round 4 of the Ulster Cyclo Cross league today in Castle Park Bangor. 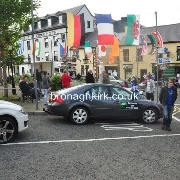 I heard my name being called while taking photographs of the underage races in Bangor today. 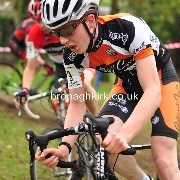 Island Wheelers hosted Round 3 of the Ulster Cyclo Cross series in Windmill Wood Dungannon. 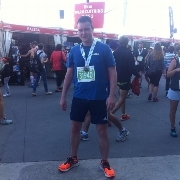 My son Dylan has just completed his first half marathon. 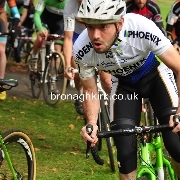 Phoenix Cycling Club hosted Round 2 of the Ulster Cyclo Cross in Lady Dixon Park, Belfast today. 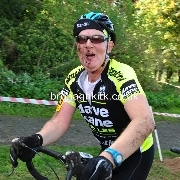 The Apollow Cycling Club promoted round 1 of the Ulster Cyclo Cross series on sunday 5th October. 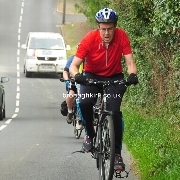 One of Northern Irelands newest cycling clubs 'Cycle 4 Christ CC' held a charity tour around the Strangford Lough on Saturday 13th September. 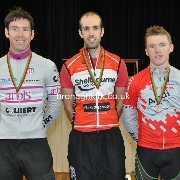 Newry Wheelers promoted their popular 3 day stage race on the second weekend of August this year. 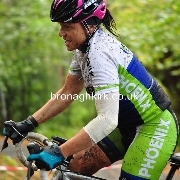 Banbridge CC promoted the Ulster Cross Country Championships in Castlewellan Forest Park on 24th August. 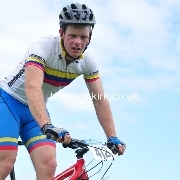 The Apollo Cycling Club held the final round of the Ulster Cross Country Mountain bike series in Craigavon today. 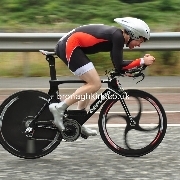 Sean McIntyre won the Ulster 25 mile time trial championships at Clady yestrday in a time of 54 minutes and 9 secconds. 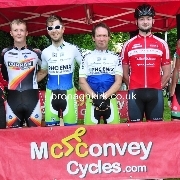 Ormeau Park was the venue for circuit racing tonight promoted by Phoenix CC. 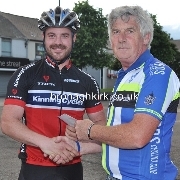 Andy McCullough continued his successful comback with an emphatic win in the Ards town centre criterium last night. 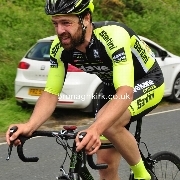 Phoenix CC promoted their annual Bobby Crilly Memorial race on Saturday. 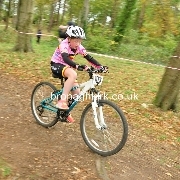 North Down CC promoted cycle races for all age groups in Bangor on Sunday. 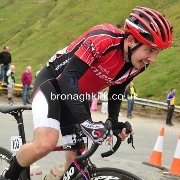 Stage 4 finished at the top of Glengesh pass. 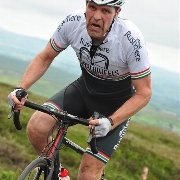 Stage 3 of the Donegal 3-Day was a 52 miles road race. 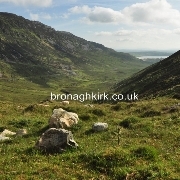 Stage 2 of the Donegal 3-Day was 1.7 miles hill climb. 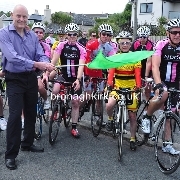 Photos of Donegal 3-Day Stage 1 in Ardara.